Cardi B is dominating Billboard Hot 100 to kick off her New Year. The “Bodak Yellow” rapper became only the third artist in history and the first rapper to have their first three Billboard Hot 100 songs to chart in the top ten simultaneously. The only other two artists to achieve this are Ashanti and The Beatles, according to Billboard. 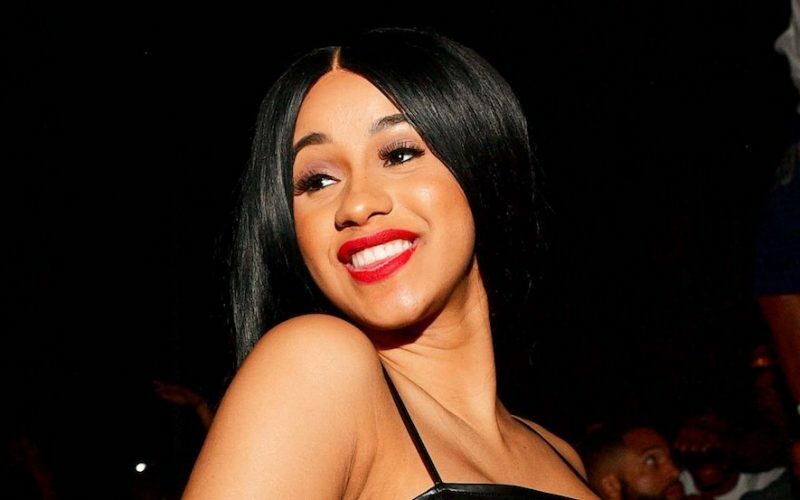 Cardi B joined the elites among artists last year when her debut single “Bodak Yellow (Money Moves)” topped the chart making her the first female rapper since Lauryn Hill in the late 1990s to top the chart with a solo record. 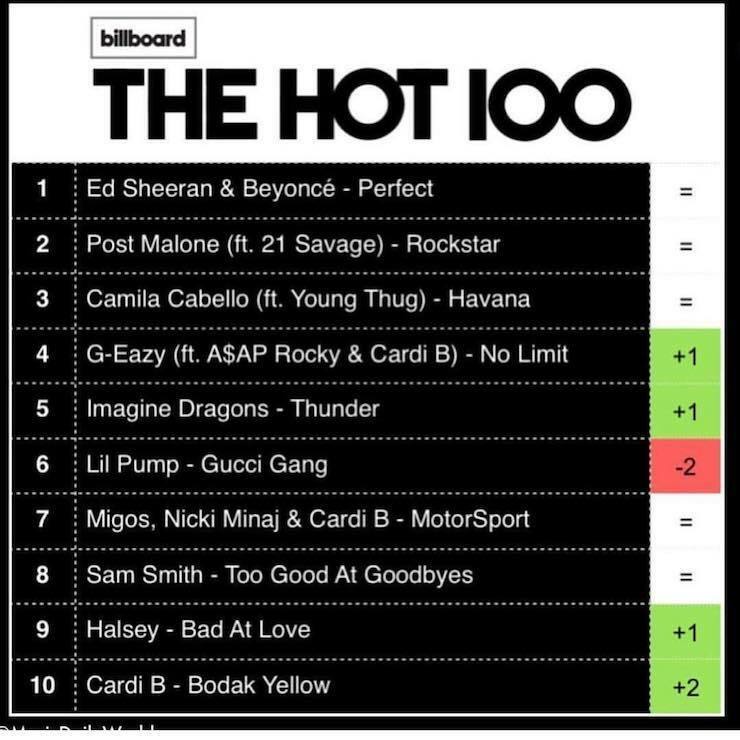 Now Cardi B is making more history for herself once again on the most recognized music chart on the planet, the Billboard Hot 100. Her song with G-Eazy and ASAP Rocky, “No Limit” jumps one place this week to No. 4, while Migos’ “MotorSport” with Cardi B and Nicki Minaj holds firm at No. 7 on the chart this week. That’s two singles in the top ten where she is a guest artist on, but her debut single “Bodak Yellow” saw some resurgence over the holidays and jumped two places from No. 12 to 10 on the chart. It’s very much possible that she can achieve four songs simultaneously on the Billboard Hot 100 if her new single “Bartier Cardi” continues to gain momentum. 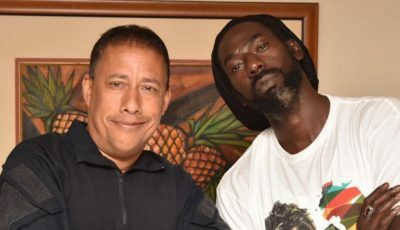 The song made its debut on the chart at No. 14 and over the holidays it was a top trending song on some major streaming platforms. Further down on the chart, Cardi B can be found on another song “La Modelo” with latin singer Ozuna which entered the chart at No. 52. “LA MODELO HAS ALSO ENTER THE HOT 100 at number 52 .Thank you guys for the support this honestly one of my favorite songs .Thank you @ozunapr por darme la oportunidad,” Bardi wrote on Instagram.